TTV Dinakaran (he spells it as Dhinakaran) is either consumed by a political death wish or is plain audacious. Those are the only two conclusions you can arrive at if you take claims made by Delhi Police at face value. 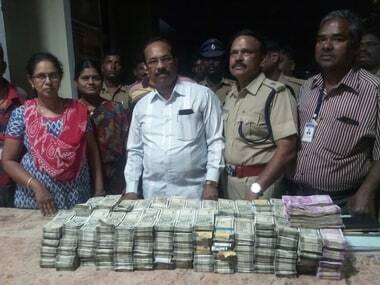 Just days after the RK Nagar by-election was rescinded by the Election Commission after revelations that the Sasikala camp planned to distribute Rs 89 crore as bribe to the voters of the constituency to elect Dinakaran, the AIADMK strongman is now accused of attempting to bribe the EC with Rs 50 to 60 crore to get the two leaves symbol. This is after Delhi Police arrested Sukesh Chandrasekhar, who has in the past too been accused of conning people. Delhi Police sources claim that Dinakaran and Chandrasekhar knew each other for the past four years. 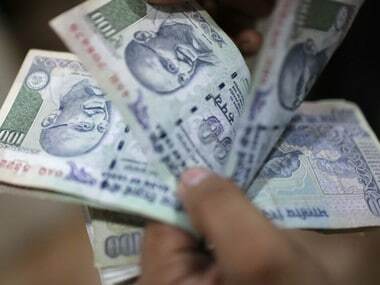 They say they got the lead that some money transfer was taking place through hawala channels via Kochi. The police claims, they are in possession of audio conversations between Dinakaran and Chandrasekhar and a lawyer who was acting as a go-between. Dinakaran, however, has denied knowing Chandrasekhar and has put up a brave face saying he will respond to the summons by Delhi Police. The police are basing their case on the Rs 1.3 crore reportedly recovered from Chandrasekhar during the raid in his room at a south Delhi hotel on Saturday and the leads secured during his interrogation. There are many questions that arise. 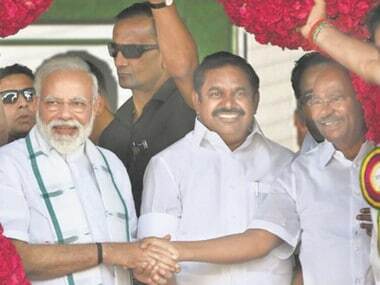 Given that Dinakaran has been a political animal for so long if he indeed had to use someone to bribe EC officials, wouldn't he have depended on his trustworthy political managers who know their way through the Lutyens Delhi maze? Why would Dhinakaran bank on a 27-year-old person who has the reputation of a conman, to get a political work done? And there is still no word on whether any EC bigwig was indeed approached with the offer. Interestingly, on Sunday afternoon, this message was sent to some senior journalists in Delhi: "Please be in touch with Delhi police. Some major developments in Dinakaran-Sasikala case.'' The idea behind giving this heads up was clearly to use the media to sully Dinakaran's FERA-tarnished reputation. Sources say top officers of the Crime Branch of Delhi Police have been drafted in the high-profile case. Why these question marks are being raised is because political events are unfolding in tandem in Chennai. On Friday, which was Tamil New Year day, a dozen senior leaders of the party, including some ministers asked Dinakaran to step aside as deputy general secretary. They reportedly told him that the Income Tax raid on Health minister C Vijayabaskar was an indication of things to come. 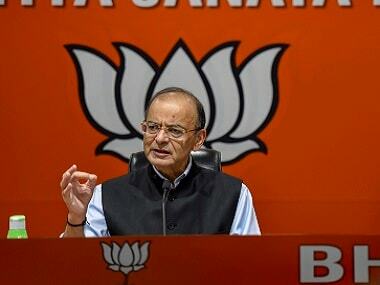 Three ministers have also been booked for obstructing the I-T sleuths from doing their job. They read the writing on the wall that anyone in the Sasikala camp was a certain target for central agencies. And those with skeletons in their cupboard do not want to risk a sleuth's knock. At the same time, chief minister Edappadi Palaniswami has been mounting pressure on Dinakaran to green-light his proposal to sack Vijayabaskar. Dinakaran sees the Health minister as his loyalist, who played a crucial role in the RK Nagar election campaign. 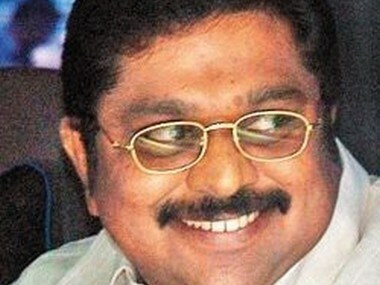 Removing him, Dinakaran realises, will only embolden his detractors to ask for more. Giving credence to the growing rift between Dinakaran and Palaniswami, the chief minister did not change any of his official engagements on Monday after hearing of the party supremo's name figuring in the FIR. Dinakaran is also aware of moves being made ostensibly with Delhi's blessings, to get Palaniswami and Panneerselvam to do business together. The Dinakaran camp sees the I-T raid and the Delhi police case as steps in that direction to push him against the wall and cut off his supply of political oxygen. This is because, despite attempts to set the cat among the pigeons, Sasikala still commands the loyalty of about 25 lawmakers. That number will prevent the formation of a majority EPS+OPS government. This is preventing a merger of the two AIADMK factions, keeping the Mannargudi family out. So, is the Delhi Police case an attempt to tighten the screws to get some of the 25 Sasikala loyalists to switch sides? Team Dinakaran is certain this is why Plan B has been put into action. While no one really knows if Dinakaran indeed tried to bribe his way to get the symbol in order to control the AIADMK, he knows every move in the AIADMK is being watched very closely. His next move, including whether to cede Vijayabaskar to buy peace, will be decided after he consults his aunt in Bengaluru prison this week. On the other hand, Dinakaran's detractors deduce that the bribery attempt is the reason the Sasikala camp wanted eight weeks time in the symbol case before the EC. The assumption is that Dinakaran was bargaining for time to be able to carry out the plan to bribe the EC officials. Interestingly, the Panneerselvam faction of the AIADMK is no longer focused on the symbol. It wants the EC to first decide on the legality of Sasikala's election as general secretary. Should the EC strike it down, even Dinakaran's appointment as deputy general secretary will become null and void. This week could mark the endgame in the AIADMK crisis. The Delhi Police at Dinakaran's door charging him under the Prevention of Corruption Act is not the optics the ruling party MLAs would like to see. They are only interested in ensuring the government does not fall so that they do not have to face a fresh election. It is clear the sleuths do not want to give Dinakaran much space to manoeuvre. The BJP wouldn't admit it openly but it is clear that it wants the two factions minus the Sasikala clan to merge so that it has the AIADMK votes in its pocket before the Presidential election. An eternally grateful Panneerselvam will be easy to control for the BJP, which has been trying to get a foothold in Tamil Nadu for quite some time now.